Tourism from India to Turkey has grown manifold since 2004 when Turkish Airlines introduced their 3-weekly flights between Delhi and Istanbul. Over the years this frequency has grown to 14 flights a week between Delhi, Mumbai and Istanbul, demonstrating the importance Turkey places on Indian tourism into Turkey. The first year saw 4000 tourists, which grew last year to 120,000. The Turkish Government and the private sector, particularly with the help of Turkey India Tourism Council (TITC) have put in an enormousamount of work to keep these numbers growing each year. The value systems of India and Turkey are very alike, making it very attractive for people of both countries to visit each other. Indians love to visit Turkey for leisure, adventure, weddings, honeymoons or sightseeing; the Turkish love Indian food, the ancient Moghul architecture in India, Bollywood and Hindi music. 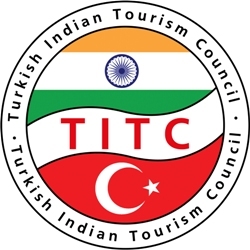 TITC’s continued endeavour to understand the Indian traveller and assure them of the best experience in Turkey can only help the sector grow with leaps and bounds, despite all odds. We will ensure no stone is left unturned in our efforts to make Turkey a safe and an attractive destination for the Indian tourist, wedding planner, MICE visitor or adventure seeker. We have the right products, which can only improve further with TITC’s efforts. Let’s take this forward together!